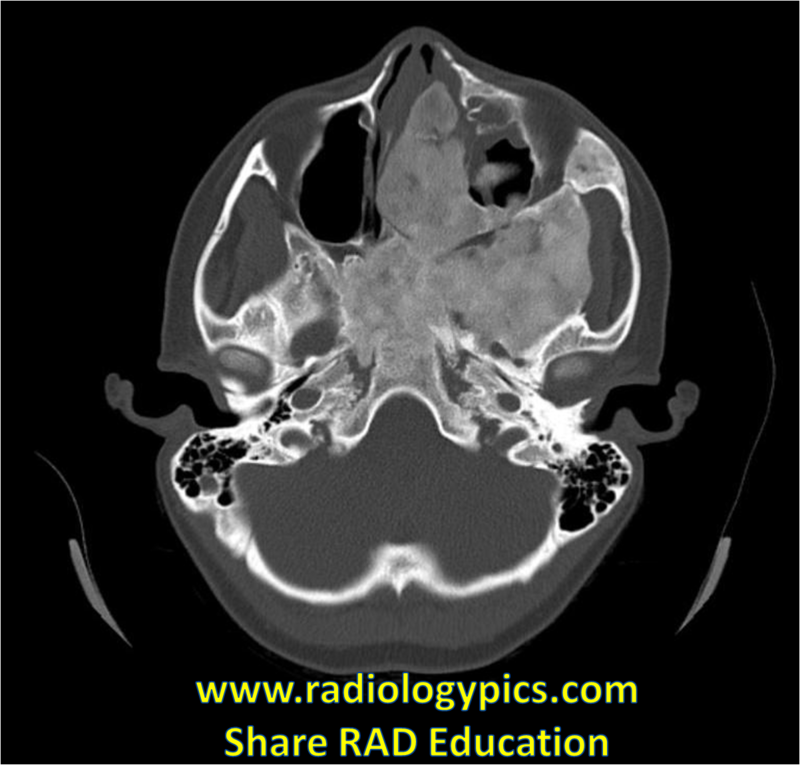 History: 10 year old female with headaches and facial deformity. Axial CT of the head in bone windows. What are the findings? 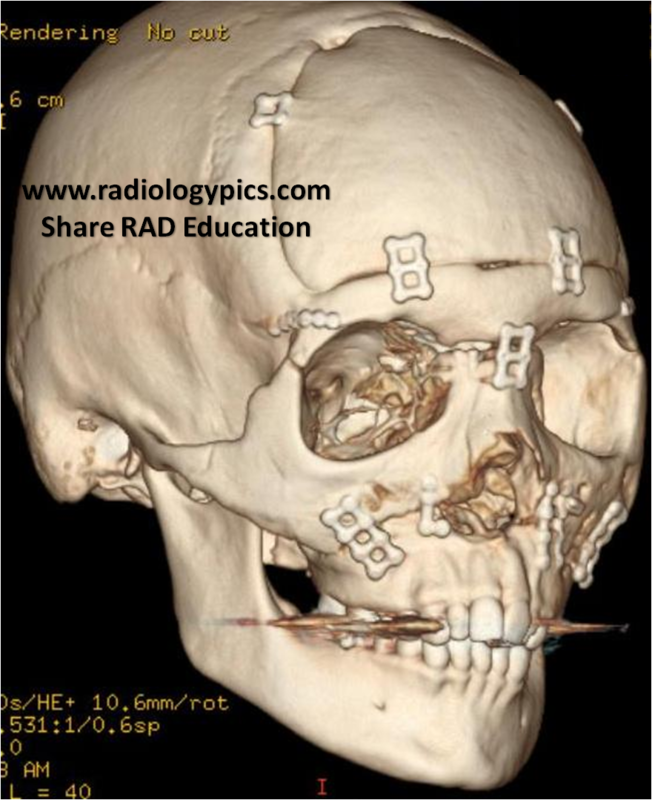 3D reconstruction of the head CT. What do you see? What is your differential diagnosis for this 10 year old girl with headaches?